On this blog I speak in a strictly private nature. Nothing here is to be considered an official statement of my employer. Speaking of employer; some readers wonder why there is nothing on this blog describing my day to day work. Well, silly, as it says above, these are my private pages. Work stuff should and is located on my employer’s infrastructure. I’m sure you know how to operate a search engine just look me up. 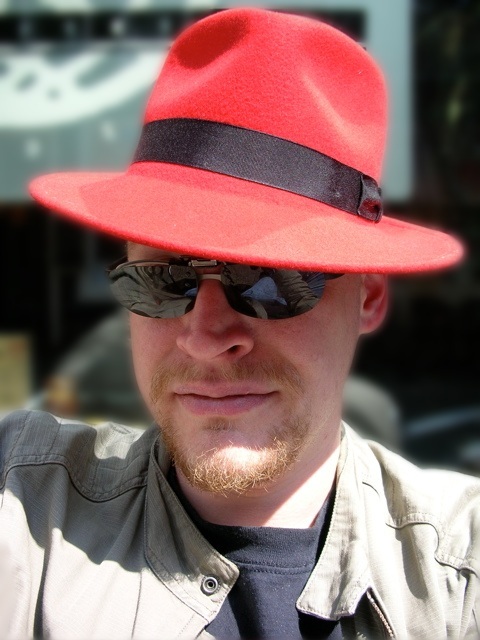 I maintain a couple Fedora packages . Through work, I am reporting, following and owning bugs at Red Hat’s Bugzilla, most Bugzilla visitors will only see the public bugs. Check the braindump and howto categories if I sent you to this site while muttering something along the lines of there’s a page on my blog that has some notes on how to do XYZ. Being a geek, I tend to own a plethora of electronic gizmos. See the category gizmo for posts on some of them. I expect my hardware to work with Linux, and will note specifically when something does not work out of the box or if I have, horror of horrors, to use another OS to fully take my toys into use (e.g. booting Windows to apply a firmware update or do an initial set-up). Where was the image in the header taken? Depending on the theme I activated, you may or may not get an image in the page header. See frosted trees for details on the image itself. What’s with the quote that is sometimes shown in the header? I like to think of Hanlon’s razor every time someone comes up with an unbelievable conspiracy theory. Whether it appears in the header of these pages depends on my current theming. Sometimes I only have “pcfe’s blog” there, sometimes the quote is shown too. seeing that my old web pages are rather ancient but I need a self hosted web presence (mainly for random notes), I play around with blogging software. I have run both a Wordpress and a Drupal instance in the past. At the moment, my blog is run with Hugo. Old content from the Drupal, the WordPress and the octopress instances was migrated.